I've often seen people do magic tricks for their nieces, nephews or for children in general. To an adult observer, the trick is obvious - but to young children, it seems like real magic. Considering that it's permissible to perform "magic" for adults as long as it's only to entertain and impress the audience, is this allowed? In terms of magic to begin with Rav Moshe Feinstein (Iggros Moshe YD 4:13.) Seems to allow it. But later versions of Iggros Moshe seem to indicate he was hesitant to issue a Heter. However, the Chochmas Adam (89:6) forbids the practice. Chochmas Adam writes, "...those badchanim (merrymakers) who perform achizas einayim at weddings are transgressing a prohibition of the Torah. One who bids them to do so transgresses the prohibition of lifnei eveir (causing one's fellow man to sin). Anyone who can object to this practice is obligated to do so, and certainly it is prohibited to watch their tricks, since one is aiding transgressors. " The Chochmas Adam's ruling is quoted by many other poskim and none mention that the prohibition may no longer apply in our times. However, the Maharshal differed with this Chochmas Adam and held that swift hands coupled with sorcery is forbidden. But sleight of hand alone. Is permissible. Rav Yisroel Belsky (Shulchan Halevi page 138-141) suggests that announcing to the audience beforehand that none of the tricks involve actual sorcery but is just trickery, that maybe even the Chochmas Adam would have permitted it. The poskim mentioned above do not make a distinction between adults and children. Although, logically if one is going to make a disclaimer, he should explain it in a way that the children in the audience can understand that the tricks are not magical. Question: In practice, how should we conduct ourselves in regard to magic shows? Discussion: None of the poskim who discuss this issue are quick to permit any type of magic. Indeed, the vast majority of poskim strictly prohibit it, some of them on the grounds that it a Biblical prohibition. Consequently, whenever possible, one should not perform or watch magic tricks, and surely not present magic shows in a school or camp to young, impressionable children. In unique situations when-under direction of a rav-an exception has to be made, we have seen that there are some poskim who are more lenient, provided that the audience clearly understands that no magic is involved. Some poskim add that the magician must also demonstrate how the magic is performed. Nonetheless, many commentators say that as long as you are not actually preforming magic, even if the audience would be duped into believing it is, it was not forbidden (Radbaz in Metzudas David 61, who maintains that the Torah only prohibits true acts of sorcery, and not deceptive acts that rely on purely natural phenomena. See Betzel Hachochmah 4:13 as well who echoes his opinion) thus even with impressionable children, it would be permitted. In conclusion, it is worth noting that even those who are stringent regarding “slight of the hands,” may concede that today no prohibition would apply. 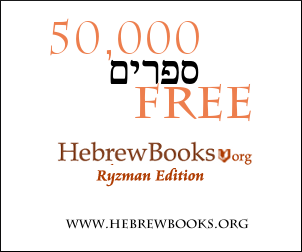 As the Rambam and the Chinuch (250, at greater length) conclude, the evil of “deception of the eyes” is that people will come to believe the impossible to be possible, and even reach conclusions that contravene the basic Jewish faith. Nowadays, this scenario is quite implausible—which is perhaps the background to the difference in approach of later authorities, such as the Iggros Moshe and the Klausenberger Rav, in comparison with the stringency of earlier authorities. The first question that a child raises after a magic trick is performed, is “How did you do it? !” He clearly doesn’t believe that the word “abracadabra” in able to achieve miracles, and supernatural forces are surely the last thing on his mind. Not the answer you're looking for? Browse other questions tagged halacha minor-katan-child sorcery-magic-kishuf performance-entertainment .